An end to Bush-era tax cuts near? Washington (CNN) - A leading anti-tax-increase crusader says he doesn't think that letting Bush-era tax breaks expire is violation of a no-tax-increase pledge. So do Republicans now have a way out of the debt ceiling deadlock? Democrats sure seemed to think so Thursday. All bow down and kiss the feet of the republican GOD, Grover Norquist. To hell with individual pledges by the tea-baggers/republians. Their pledge to work for the best of THIS ENTIRE COUNTRY is all that counts. Vote them all out if they sign pledges to someone who HAS NEVER BEEN ELECTED BY US, FOR US. They signed a Welfare for the Wealthy Pledge. Wow! Really? Grover? Hell must have finally froze over! People getting all the Benifits need to pay for them. Let the Bush Era Tax Rates for all under $2000,000.00 expire and those over $2000,000.00 stay. That way a business can hire another worker or more. But reduce the debt and balance the Federal Budget. You have also heard that our ancestors were told, ‘You must not break your vows; you must carry out the vows you make to the Lord.’ But I say, do not make any vows! Do not say, ‘By heaven!’ because heaven is God’s throne. And do not say, ‘By the earth!’ because the earth is his footstool. And do not say, ‘By Jerusalem!’ for Jerusalem is the city of the great King. Do not even say, ‘By my head!’ for you can’t turn one hair white or black. Just say a simple, ‘Yes, I will,’ or ‘No, I won’t.’ Anything beyond this is from the evil one (Matthew 5:33-37). Wills writes that “most Republicans in Congress have signed a Mephistophelian pact. They have left their consciences in the pocket of Grover Norquist.” But these words from the Gospel of Matthew imply that Republicans who have signed these pledges have literally made a pact with the devil." It is ludicrous that this could possibly turn on some single individual or small group saying that the "spin" could be construed so as to allow Republicans to make a case they didn't violated a BS pledge. When this country determines things on merit rather than cliques-behavior, we will be much better off. It doesn't really matter if these people are taxed at the old rates, the huge deficit the Democrats have created will still exist. I wonder who'll they'll start demonizing after they've gone after these people? You know they have a long list of targets to fund their social justice BS, aka the great Democrat welfare society. A leading anti-tax-increase crusader says he doesn't think that letting Bush-era tax breaks expire is violation of a no-tax-increase pledge. So do Republicans now have a way out of the debt ceiling deadlock? I can't wait for the Bush Error Tax Cuts to be consigned to the dustbin of history where they belong. 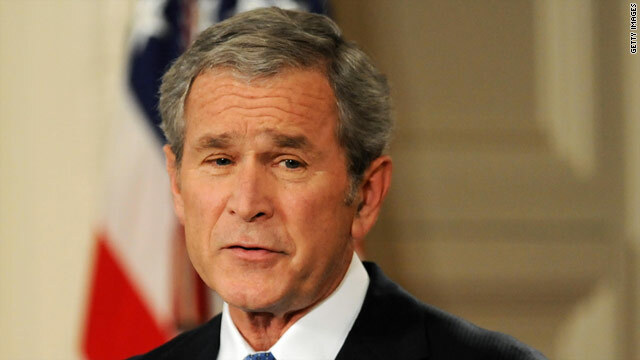 They should have been stopped the day he let the neo-cons invade iraq. I make less than $250k a year and I don't even want to keep my part of this stupid stupid idea. End them all the sooner the better. Remember what the deficit was whenGeorge W took office? I do ther wasn't one it was a surplus and that idiot Bush gave it away to his rich pals. Say what you want about Obama increasing the deficit(partly by admitting that we had to pay for Bush's war)..but he did not create it where there was a surplus. Good. Finally we can start getting back on track from trillions of dollars that never "trickled down". No problem as long as ALL the Bush tax cuts expire. Be careful what you ask for dumbocraps. Millions of Americans will pay federal income tax that aren't paying it now. The rates will go up on all other tax payers. I can stand it if you Obummie supporters can!!!! The Greedy Old Pigs have declared war on US! This is long overdue. However, America can't afford any ridiculous cuts in benefits to seniors and the poor just to make it happen. Ending the Bush era tax cuts would be the best thing we could do to remedy the current situation. The interest on the Bush era deficit runs about $450Billion a year at the current interest rate. The national debt increased 85% during the Bush presidency, and the interest at current rate will make up about 79% of our debt over the next few years. million and billionares who dont create jobs are getting away with farm... tax "em..
Democrat Peter DeFazio of Oregon mocked Republicans in the House. "Let all the Bush tax cuts expire!" DeFazio said. "That's 4 trillion dollars. It's not too complicated! It would take us back to those bad old Clinton years when rich people paid taxes. The 'job creators,' they call them," he said in a mocking voice. "They can't make the 'job creators' pay taxes - it will ruin the economy!' "
Blue Ribbon sound bite of the day. GOP leaders argued that letting the tax cuts expire would hurt the "job creators" and thus affect the entire economy. That is the great scam that has been played on the American people. That card has been played ever since Reagan's advisors invented the phrase "trickle down economics." Can someone explain to me how a *personal* tax cut, which is favored by Republicans, creates jobs? Can someone explain how a *small business* tax cut, which is favored by Democrats and opposed by Republicans, does not create jobs? Republicans oppose on the grounds that those types of cuts do not create jobs because the money doesn't go to the real movers and shakers, those mystical, mythical, magical 'job creators'. If the Republicans roll on this one without expiring them for ALL, Barry will win because I refuse to vote again for a party that said they were going to do The Job. Anyone who thinks those spending cuts are going to REALLY happen with the Dems in charge is smoking some good stuff. Just let them expire then and see what the voters think because that is just typical political spin. I don't care what you call it if my taxes go up its an increase and I already feel my money is wasted. I have plenty of Democratic friends who when it comes down to it money speaks so don't count on them being so cavalier when it comes time to vote on it. They can tax me more if they want -– 50% of nothing is nothing. Go ahead. Actually... Republicans = Hoax. Democrats = For the people. Grover Norquist said that? I wonder if the corporations that fund his organization finally gave him an ultimatum? Or maybe a mysterious someone who Never Was There whispered in his ear "Guantanamo Bay"? Who knows? What it means is a way out of an untenable situation. Either the TP bends (or gets bent over) on taxes or the US and world economies will go down the tubes. Now go sit down and make a freakin' deal! It doesn't really matter if these people are taxed at the old rates, the huge deficit the Democrats have created will still exist. You mean that $236 million surplus that was turned into $4 trillion deficit by that well known Democrat George W. Bush? That one? Yes, we all remember it very well. Now try learning some facts. Wikipedia is a good place to start.